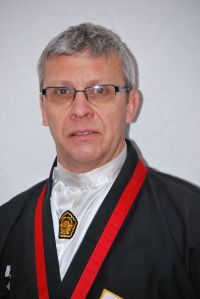 Master Andy started training in Kuk Sool in 1978 and has never looked back, other Martial Arts have their own merits but Kuk Sool covers all the Oriental Arts in one package so why do anything else. He has been 2nd Dan Grand champion in 1999, 2000 & 2001 and a Gold and Silver Medalist in the World championships in Houston Texas 1998. He still enjoys the thrill of training and 2018 is the 40th anniversary since he began. 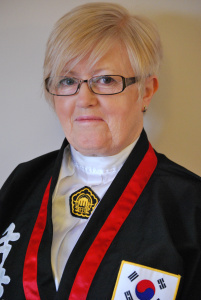 Master Lynda also started training in Kuk Sool in 1978 with her Husband Master Andy. She has competed and won several Medals in her career, Her greatest achievement being Super Senior Grand Champion in Houston Texas in 2001. She puts great emphasis on etiquette and respect,and is a great Martial Artist in her own right, being one of a handful of Female Masters in the UK. 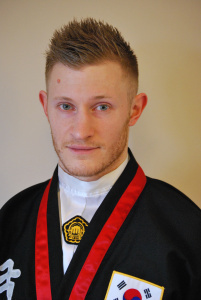 Master Tom started training in Kuk Sool when he was Six years old and gained his First Dan a week before his Tenth Birthday, He became the Youngest student outside Korea to get his Fifth Dan Master in 2015, age 28yrs. Tom has been an avid competitor through his Martial Art career winning numerous Gold and Silver Medals, culminating in 2015 with the European Fourth Dan Grand Championship in 2015, a Top Level Accolade in our Martial Art. He Specializes in Acupressure knowledge and Tuition, but is one of the Greatest all round Martial Artists you will Find.